When the skin under the arms begins to sag and accumulate pockets of fat, it can be quite noticeable. While arm laxity occurs in most people at some point in their lifetime, it is most common in those who have experienced significant weight fluctuations or aging. Loose arm skin can cause a decrease in self-confidence, feelings of self-consciousness about one’s appearance, and difficulty in finding clothing that flatters the arms. 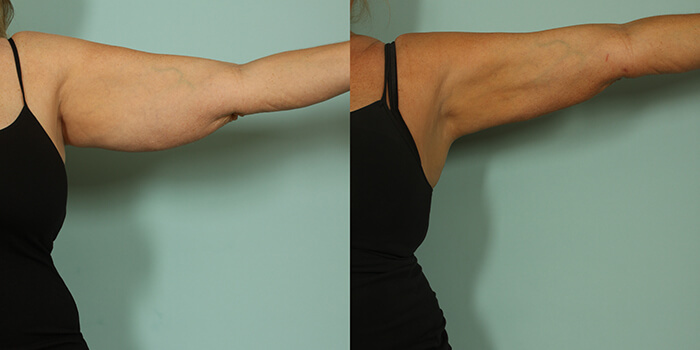 Dr. Agullo offers arm lift surgery to restore his patients’ confidence and create sculpted, slender arm contours. If firm, toned arms cannot be achieved through exercise, arm lift surgery is an effective way to regain a smooth and youthful look. Struggle with bothersome arm skin laxity or stubborn pockets of fat? Feel unhappy with the appearance of your arms? Want to feel comfortable in sleeveless or short-sleeved tops? 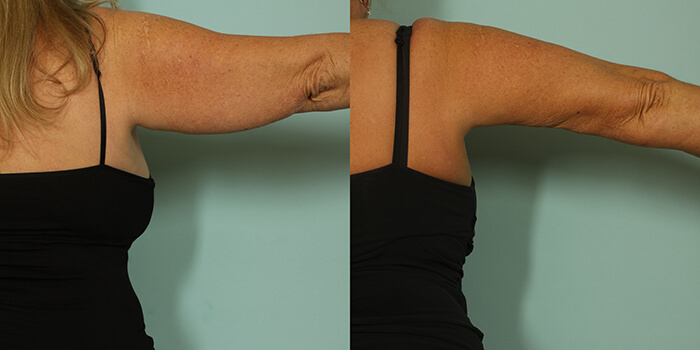 Patients with mild skin laxity and excess fat can benefit from arm liposuction. Scars are limited to two small scars less than a quarter inch in length at the level of elbows. Liposuction is also an important component of all arm lift procedures. A small incision is placed along the axillary fold. This technique is limited to patients with minimal excess arm skin, good skin elasticity, limited excess fatty tissue, and no stretch marks. 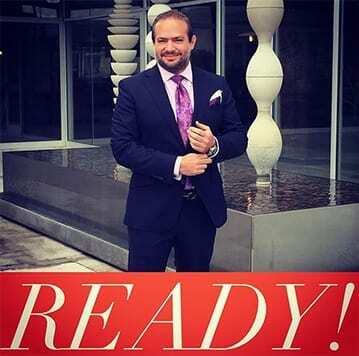 Dr. Agullo is proud to offer his patients the revolutionary BodyTite™ procedure. Combined with traditional liposuction and using radiofrequency energy, Dr. Agullo is able to remove the fullness abused by the excess fat and make the skin contract. This next-generation treatment can help you avoid the unsightly scar or make it shorter if still necessary. A short, T-shaped incision is created that follows the axillary fold and extends down to the mid-arm. This technique is ideal for patients with small amounts of excess arm skin and fat deposits. This is the most common type of arm lift. An incision is created from the axilla to the elbow, either on the inner or back of the arm. This technique can correct moderate to severe degrees of arm skin laxity and excess fat. The incisions created for this procedure extend past the elbow and to the lateral chest. This type of arm lift is reserved for severe cases of excess arm skin. It is often combined with breast lift surgery. During your arm lift consultation, Dr. Agullo will assess your condition and develop a surgical plan tailored to your needs. You will also be provided with specific preparatory and recovery instructions based on the requirements of your unique procedure. Arm lift surgery is an outpatient procedure performed at our certified outpatient surgery center or hospital. After administering general anesthesia, Dr. Agullo will utilize one of the five arm enhancement techniques to improve the shape and firmness of your arms. Patients can expect soreness, bruising, and swelling after arm lift surgery. Some side effects will subside significantly after the first few weeks, but swelling may linger for a few months. A compression garment must be worn to minimize discomfort and excessive swelling. Strenuous activity must be avoided for up to four weeks. Results will be evident immediately after surgery. However, the arms will continue to improve as any residual swelling dissipates and the incisions heal completely. The final effects will be visible up to six months after surgery. The outcome of arm lift surgery is long lasting as long as patients maintain a stable weight. Have a friend or family member ready to take you home after your surgery. Get all necessary paperwork and your ID in order. Make sure you do not eat or drink after 12 a.m. on the day of your procedure. Do not apply lotions or creams the day of your scheduled surgery. Obtain a loose, comfortable button-up shirt to wear before and after surgery. Refrain from smoking or using tobacco products two weeks before surgery and two weeks after to decrease the risk of post-op complications. Avoid blood-thinning medication and supplements for at least two weeks before your surgery. The cost of arm lift surgery depends on the extent of correction required, techniques used during the procedure, anesthesia fees, surgical fees, medical tests, and recovery products. Our up-to-date fee schedule gives an approximate minimum price guideline for each of our procedures and treatments (excluding prescription medication). You will receive a cost estimate tailored to your specific surgical plan during your consultation. 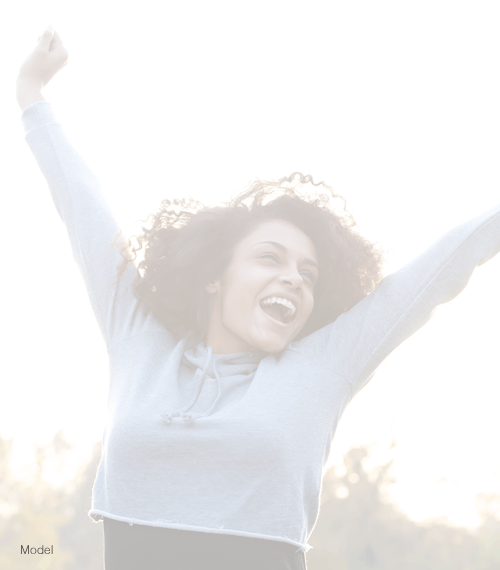 The consultation fee is $100, which is applied to the total cost of your procedure, and the remaining balance must be paid in full before your surgery. What are the risks associated with arm lift surgery? Can I combine my arm lift with any other procedures? What kind of scarring can I expect after my arm lift surgery? Every patient’s body is unique and will heal differently. Typically, arm lift surgery scars are firm and pink for six to eight weeks. After several months, the scars tend to fade and flatten to blend into the surrounding skin. Exercising proper aftercare can help minimize the risk of visible scarring.